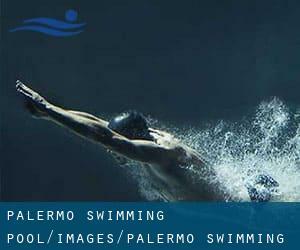 Before trying any pool, make sure you know the rules and regulations for varieties of Palermo Swimming Pool as they may not be the identical as in your household town. We suggest you contact the pool directly to ask should you will want a hat, and what type of footwear or specific clothing you will need. Do you know of any Pools in Palermo that needs to be listed here? Contact us!. 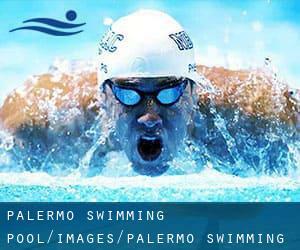 Swimia.com desires your feedback on Aquagym in Palermo to ensure all the information about swimming in Palermo is valid. Most on the varieties of Palermo Swimming Pool offer both open lanes for independent swimming and also guided activities like water aerobics or Aquabike. Thanks to some new pools submitted by swimmers like you, Swimia.com is increasing in the day-to-day number of stored pools. Please don't hesitate to contact us if you ever find any Palermo Pool with inaccurate or incomplete data. Traveling to Palermo? This is the perfect spot on the internet to discover places to swim in Palermo. Each day you are not swimming you might be losing precious time in improving your abilities to be a far better swimmer! No a lot more excuses! Locate your nearest Palermo Pool and tell us how it went. If you're tired of having eyes and irritated skin, obtaining a saltwater pool in Palermo might be the solution. You'll want to know that the level of salt from these pools is well below the level of salt from sea water, specifically they are talking about a tenth or much less. Enjoy the best indoor pools in Palermo and don't worry about the weather. These facilities are open all seasons and you can enjoy a swim at the same temperature every day of the year. There are several reasons why you ought to choose a heated swimming pool in Palermo. The most important one relies on the importance of keeping the body temperature stable. If the water is too cold, your body will try to warm it up and you will shed strength to swim correctly. One from the advantages of outdoor swimming in Palermo may be the possibility to sunbathe in the course of the summer season. Taking it with extra care, sunbathing is healthy considering that introduces Vitamin D into the body, so the best choice seems to be switching between indoor and outdoor pools depending on the season. There are several alternative remedies to chlorination, with great advantages that make certain far better water quality in the pool. One possibility would be the mineralizer, which purifies water naturally and significantly decreases the chemicals used and maintenance time. Try Chlorine Cost-free pools in Palermo. Viale del Fante , Palermo , ITALY (Postal Code: Unknown). This great and large sports center lets professional swimmers like you enjoy Olympic size, 8 lanes, Indoors. Additionally, within these facilities you can try Olympic size, 10 lanes, Outdoors. Unfortunately we do not have the email address of this Swimming Pool, but we can give you the phone number. Updated on 2019 Corso Calatafimi n.326 , Palermo , ITALY (Postal Code: 90129). This sports center gives 25 meters, 4 lanes, Indoors. For this Swimming Pool, only phone number is number here.